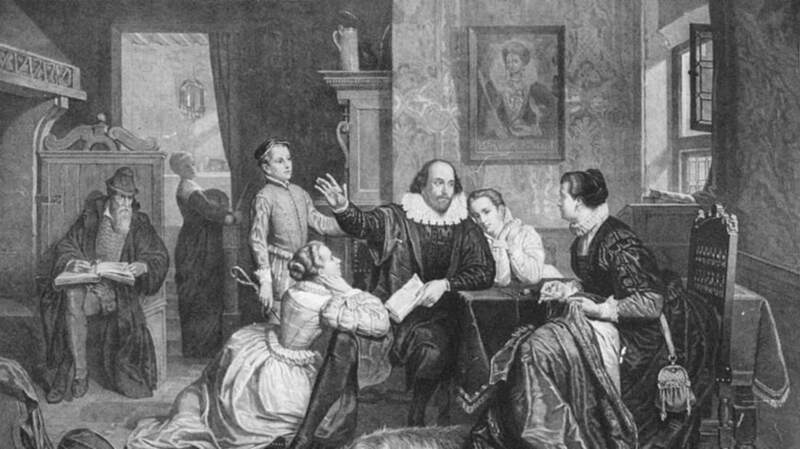 The Bard invented and compounded an enormous number of words and phrases—likely as many as 1500—that we frequently use today (including “barefaced,” “birthplace,” and “bandit”). However, as Norman Blake's Shakespeare’s Non-Standard English points out, he also used a great number of terms that presumably have special meanings—ones which, despite generations of scholars’ tireless efforts, Shakespeare seems to have wholly kept to himself. Mental_floss has previously plumbed some of these head-scratchers, but the list goes on—understandably so, given that Shakespeare used a total of 31,534 different words in his written works. Here are nine more of his home-spun terms that still hold their mystery centuries later. In The Merry Wives of Windsor, Dr. Caius states, “Rugby, ballow me some paper” (1.4.82-3). Scholars don’t know what the verb “ballow” was supposed to mean (hopefully Rugby did), and the line doesn’t give much in the way of contextual info to help them out (some versions say baillez, which is based on the belief that ballow is intended as a phonetic representation of the French for "bring"). Experts on the Bard’s language do have a bit more of an idea as to what “placket” might mean, though, since it appears in several different plays. Taking cues from A Winter's Tale (“Will they weare their plackets, where they should bear their faces?”) and The Tragedy of King Lear (“Keepe thy foote out of Brothels, thy hand out of Plackets”), pursuers of Shakespeare’s hidden definitions believe the word means either "an opening in a woman's apron or petticoat" or a reference to her sexual organs. Or—perhaps most likely—both. Blake notes that this term is "of uncertain meaning" and isn't included in the Oxford English Dictionary, but that it's "possibly a variant form of quoth-a," as in "say you," and can be heard from the character Fisherman in Pericles, Prince of Tyre: "Die, ke-tha" (sc 5.119). Then again, since it's likely that Shakespeare co-wrote this play, possibly with George Wilkins, there’s a chance that “ke-tha” is an example of a different author taking artistic license. We know what the word means, and we know that the prolific playwright and poet did, too. What we don't know is why he sometimes seemingly used the term to indicate its opposite—specifically, "after negatives when the sense is 'more.'" You can spot this creative use of the term in Cymbeline ("a Begger without lesse quality," 1.4.21-2) and A Winter's Tale ("these bolder Vices wanted Lesse impudence," 3.2.54-5). In Shakespeare's universe (and lexicon), biting your thumb at someone may show derision, but the biting of sheep might just indicate a person's un-trustworthiness. As with Lucio's roar that the hooded Duke "show [his] sheepe-biting face" in Measure for Measure (5.1.351), it probably means "shifty," and comes from "the related cant word sheep-biter, [or] 'shifty fellow.'" 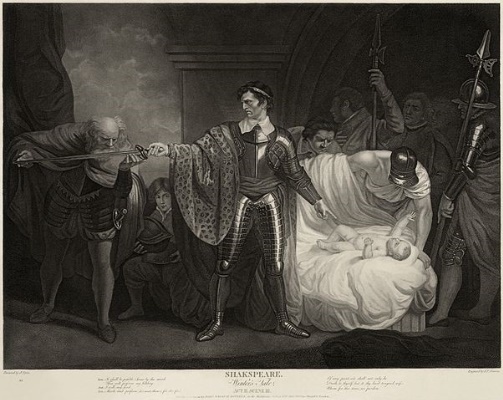 (See: Twelfth Night, 2.5.4-5, "Wouldst thou not be glad to have the niggardly/rascally sheepe-biter come by some notable shame?") Another possibility is that it’s a reference to the practice of castrating sheep by biting off their testicles, which would make this insult have a double meaning of untrustworthiness and sexual deviance. Blake notes that "pugging" is "of uncertain meaning" but it's most likely a cant expression, or a popular saying from around the time A Winter's Tale was written—possibly one meaning "thievish," as in "Doth set my pugging tooth an edge" (4.3.7). In Romeo and Juliet, Juliet's nurse is en route to Romeo with a message when witty Mercutio intercepts and harasses her for a page or two. After he's walked offstage again, she exclaims to Romeo, "I am none of his flurt-gils; I am none of his skains mates" (2.3.144). The latter phrase is "of uncertain origin and meaning" but scholars suspect that, being linked up to "flurt-gils," is might be a stern reference to any lady-friends of Mercutio's that would put up with such cheek.